Want to buy a new printer? You have some decisions to make. Do you need only monochrome printing, or color capability? Do you prefer laser, LED, inkjet, or solid-ink technology? What about extras, such as wireless networking or multifunction copy/scan/fax features? Your choices will depend on what you want to do with the printer, how much printing you do, how many other people will also use the printer, and, of course, how much you can spend—for the printer itself and for the replacement ink or toner. We'll help you figure everything out. In this article, we'll describe the major types of printers available, so you know what your options are. In another portion of this printer buying guide, we'll explain important printer specs to help you figure out which models would best fit your needs. And when you hit a brick-and-mortar store or a Website, our printer shopping tips will make your purchase easier. The major printer technologies on the market today are inkjet, laser and LED (which are very similar), and solid-ink. 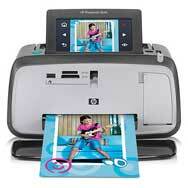 Snapshot printers might also use less common technologies, such as dye-sublimation and thermal printing. The other reason to choose an inkjet is because it can print on a wide variety of media. Many inkjet models can print on specially designed canvas or on iron-on transfers; others can print on banner-size or wide-format papers. You don't need to worry about baking your labels or scorching your nice stationery on an inkjet; these printers will gently print on almost anything. With an inkjet, what you get in versatility, you lose in speed: Most inkjet printers have relatively slow to average output speeds. Business-oriented models will generally offer higher speeds than home models. The print quality you get from an inkjet will differ depending on whether you print on plain paper, coated inkjet paper, or glossy photo paper. Inkjets have improved a great deal over the years, but some models still produce gray, fuzzy text or grainy, oddly colored graphics on plain paper. Such results might be acceptable for a school report or a flyer, but not for business purposes; and buying special paper to improve the output will add to your cost per page. The kind of ink a printer uses can affect print quality. A dye-based (colored liquid) ink, just like watercolors used for painting, is best for blending colors; the trade-off is in the precision of text and fine lines. A pigment-based ink (particles of color suspended in liquid) will generally create crisper-looking text and lines, but it won't mix colors as nicely as dye-based inks will. Not surprisingly, photo-oriented printers normally use dye-based inks, while business-focused printers typically use pigment-based inks. Some printers offer both: pigment-based ink for text, and dye-based inks for color images. In general, lower-end inkjets might use tricolor cartridges, the kind that have cyan, magenta, and yellow contained in one package. These are generally a bad deal, because once you deplete a single color you have to replace all three. Inkjets that offer separate cartridges for each ink are more efficient; models that separate the ink tank from the printhead can also save you money. Some printers have high-yield cartridge options, which offer a lower cost per page compared with standard-size cartridges. If you print fairly little to begin with, though, having a large, expensive cartridge sitting in your printer forever isn't any better for you or the ink. Though some small offices or departments could get by with a business-oriented inkjet, the standard office workhorse is a laser or LED printer. Each technology uses its light source to beam an image onto a rotating drum; the image attracts toner, and the toner then transfers from the drum onto paper though a quick baking process. Laser and LED printers are usually faster than inkjets and create precisely drawn text (as well as acceptable or better graphics). They are also more expensive to purchase, although their toner costs can be lower than the ink costs of an inkjet, depending on the model. Choose a monochrome laser or LED printer for the most basic printing need: plain, black text on plain paper. These models are simple to use, their toner is cheap, and they tend to be very reliable. Models start around $100 and rise in cost from there, depending on the features and the expected monthly output. Color laser or LED printers are expected to supplant their monochrome cousins someday, but the transition is happening slowly. Some reasons are obvious: Offices may delay replacing a machine until it's truly past its prime, for example. Another major reason is resources. Color printers are more complicated to manage. They have four toner colors and four drums (one for each color) to replace, rather than a monochrome laser's single drum. Those additional consumables take up more space inside the printer, making a color printer much bigger and heavier than a monochrome model; the spare replacements take up more space in your office's storeroom, too. Managing the use of color within an office is a significant concern. No manager wants employees to use color when it isn't needed—or worse, to use the printer for personal purposes, such as garage-sale flyers or vacation photos. If you're shopping for an office printer, look for models that come with software that can control access to the color features. Through these applications you can, for instance, designate which users have access, or permit color usage only during office hours. Some can even limit color usage to specific applications. If you think a color laser or LED printer will print photos that look as good as those you'd get from an inkjet, think again. Most of the machines we've tested can print perfectly pleasing pie charts, logos, color bars, and simple graphics, but they continue to struggle with smooth-looking photographic images. We've tested a handful of models that can rival an inkjet printer's photo quality, but they are mostly higher-end, graphics-oriented machines with commensurately high prices. Read our color laser printer reviews for details on specific models. Solid-ink printers, which only Xerox currently sells, use a unique technology that melts waxlike blocks and then squirts the resulting semiliquid ink through tiny holes in a printhead onto paper. Long ago, before color lasers took off, solid-ink printers were the best bets for office-quality color. They remain a strong competitor, and Xerox touts their less wasteful operation: The ink blocks use zero plastic packaging, unlike toner cartridges, and they take up a lot less space in shipping and storage. These models are also easy to load; you just drop the fat, crayon-like blocks of ink into keyed hoppers. Their photo quality is about the same as that of a laser or LED printer's, producing results that are adequate, but not quite as good as the typical inkjet's photos. Early problems with the high scratch-sensitivity of their output have diminished significantly, but the printers still need extra warm-up time to melt the ink. This technology would fit well within a small office or department that wants something faster than an inkjet but somewhat less complicated than a color laser or LED printer. Though any color printer can output an adequate or better photo, a snapshot printer does nothing but churn out images, and as a result, such a model is well worth considering for families with lots of photos to share. Do you like your devices small? Snapshot printers are compact and boxy, so they can fit pretty much anywhere. Standard inkjet printers tend to be twice their size or bigger. Most snapshot printers have carrying handles for portability, and a few even have battery options. Is your media covered? Snapshot printers are designed for photography, so typically they have a full complement of media card slots for your camera's flash memory. Usually they also have a PictBridge port for connecting your camera with a cable. Some PictBridge ports also take USB flash drives; if that's the case for the printer you're considering, its specs should say so. 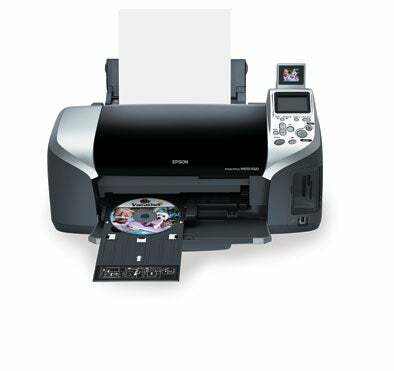 Even if a single-function inkjet printer can handle photo output, it may not have the necessary slots or PictBridge connectivity. Can you preview your photos? Since snapshot printers can function without a computer, they all have a color LCD screen for you to view and select photos for printing. The display will vary in size from model to model. A larger screen is more desirable for easier navigation and larger image previews, but you'll also pay more for that benefit. A few displays are also touch-sensitive, an interface that feels more natural as you navigate on-screen options. By contrast, single-function inkjet models typically don't have a display. Are you prepared to trade editing freedom for fast gratification? All snapshot printers are capable of printing a photo without computer. As a rule, the less-expensive models offer just basic built-in editing functions, such as red-eye removal and maybe clip art, sepia-toning, or borders. Higher-end models also let you add captions or draw on the image, print layouts such as albums or calendars, and more. Don't pay for the additional features unless you're really going to use them (or you want to impress the neighbors). If you habitually fiddle with photos in editing software before you print, you'll still want to hook the printer up to your Mac so that you can take advantage of your full-fledged applications. What paper sizes do you want to use? All snapshot printers can create a standard 4-by-6-inch print; in addition, HP's snapshot models can print on 5-by-7-inch and 4-by-12-inch photo paper. If you want to print on more sizes, consider a full-size inkjet printer or even a wide-format model. Do you care which technology the printer uses? The major snapshot printer vendors use two technologies: inkjet and dye-sublimation. The latter involves transferring ink from a continuous roll to paper. We have tested both kinds of printers, and recommend buying an inkjet-based model. Dye-sublimation technology produces a lot of wasted ink film, and offers no noticeable advantage in image quality or speed. Thermal color printing is another, newer technology; instead of ink, it uses heat to create color reactions on special paper. Right now, it's too early to tell whether thermal printing models will be viable competitors.